If you’re not sure what to give the special moms in your life, or if witnessing an inspiring event would make your mom’s day, then this is the blog post for you!! May 9th is the 21st Annual Make a Wish Mother’s Day Convoy between Lancaster and Ephrata, and the route is just a short walk from the Smithton Inn. This amazing spectacle all started back in 1990 when two very special children voiced their wish to ride in a big truck. The Make-a-Wish Foundation of Susquehanna Valley gathered 43 trucks and their big-hearted drivers together in Lancaster, PA. It has continued and grown every year thereafter. 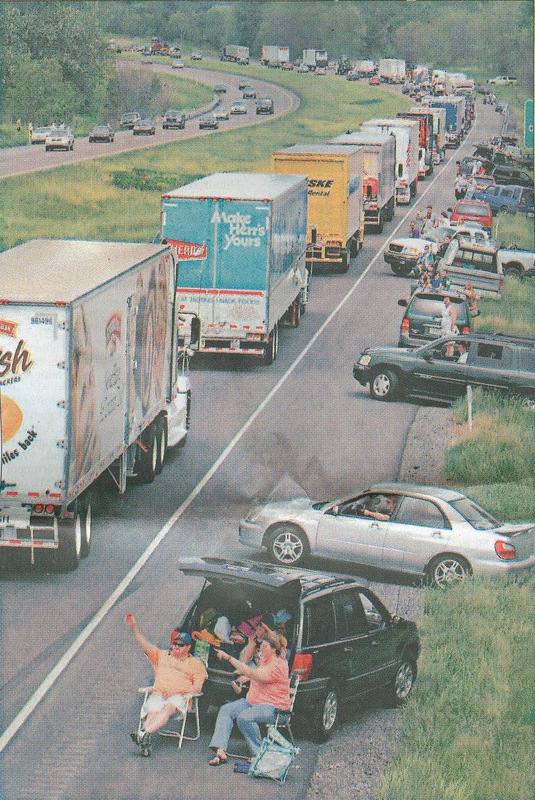 In 2003 enough trucks gathered to make the Guinness World Record for The World’s Longest Truck Convoy. At it’s peak, over 400 trucks participated, again breaking the world record. Wish children benefit from the convoy in many ways. Some children ride along in the convoy with truckers. Drivers also collect pledges for the event. Those drivers who collect the greatest amounts are honored with a place in the front of the convoy as are the convoy’s top sponsors. Over 80% of the funds raised by Make-a-Wish (of Susquehanna Valley Pennsylvania) are used to grant children’s wishes. So make your reservations now and join us to cheer on the convoy, I’ll set up a great cheering spot and will have LOTS of tissues on hand!. Another thoughtful gift is making a donation to Make-a-Wish in your mom’s name! Click here to donate online at the Make-a-Wish website. Or, if a ‘traditional gift’ is more your (and mom’s) speed, you can always give her a Smithton Inn gift certificate for one or more nights… add on a spa-package to make it REALLY special. Call 717-733-6094.